Afternoon all. Why would you presume our budget is bigger than yours? Granted, we might have one or two obvious candidates on good money, but a bigger budget? Never in this world. Have to say I'd be mightily disappointed if Mark Collier wanted to leave Chippenham, and I don't think he will, but nothing should surprise us in football nowadays it seems. Bit of a gamble by Mr Owers in my book. Good luck to him though. He says he is expecting to bring in "one or two" players before Saturday for Torquay' game v Barrow......hopefully the won't be City Boys. The departure of Gary was quite a shock to me and my first reaction was hey ho, that's football and the guy believes that he has been afforded a good career opportunity and all at Bath City wish him well. That being the case my business head immediately told me that the club should obtain good compensation from Torquay. I posted to that effect on Facebook. However, over the last 24 hours or so I have reflected on what we have actually lost. Gary is is well respected within the game, well connected and a good communicator. Apparently he is a good coach and he has shown signs of delivering something meaningful for Bath City. So. What attempts, if any, did the Board make to retain Gary's services? And were they meaningful? Would Gary have stayed with an enhanced salary (within reason) and could that have been covered by making savings elsewhere within the club? I don't expect confidentialities to be breached but I hope the Society, of which I am a member, seeks answers to the questions I have posed. Bit more of a difficult decision according to this. Typical.....should have known that article would come out after my last post! Second time he has walked away, hope the Board made it clear there will be no third chance. If you look at his record he never stays anywhere long.. Overall head done better this time than I thought he would, particularly with some good loan signings. Need. to think a bit deeper regarding a replacement. Don't see that Collier would be interested and would not particularly want him. Comments regarding someone like Charlie Griffin are I assume some sort of wind up, just led Cirencester to relegation and indifferent start in league below. I would be looking in the direction of someone like Chris Todd, Assistant Manager at Truro. They are going very well, he knows this league and was a victim of the demand for instant success at Eastleigh. As. I understand it he wants to be no one again and is waiting for the right opportunity. Dusty Lynfield wrote: Typical.....should have known that article would come out after my last post! Batten and Lucas I think. Jack took a knock defending a corner at the end and Lucas was on the receiving end of a wild challenge from Herring at a drop ball as the final whistle went (see highlights on league website). Can I get my cup draw prediction in for us against Torquay now? Ashley wrote: Batten and Lucas I think. Jack took a knock defending a corner at the end and Lucas was on the receiving end of a wild challenge from Herring at a drop ball as the final whistle went (see highlights on league website). Don't need to see the highlights. It's so out of character for Herring to do such a thing that I fully expect that to be edited footage. Gary was disgusted about it when I spoke to him after. Batten was unintentionally punched by Southwood apparently. Still totally gutted by Gary's departure, especially so soon after he signed a two year contract to stay with us in a projected ride to promotion. Still, we must respect his ambition, and his consideration to support his family to the best of his ability - an objective second to none in this day and age. 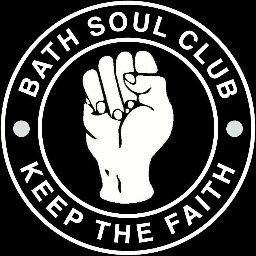 Just one plea to him - PLEASE respect Bath City and don't take with you any of our players that you have seen fit to enhance our chances of continuing the success that you have recently achieved. Best of luck with your new club Gary, and thank you for all that you have done for us whilst you were here. Laudable MS but he will do what it takes, that is already clear. You said it. Ambition. We are history. We move on. Luton Roman wrote: Laudable MS but he will do what it takes, that is already clear. You said it. Ambition. We are history. We move on. Totally agree Gerry, and I really fear that we are in for a disturbing few weeks when our best players follow GO down the M5 potentially leaving our season in tatters. Certainly going to be interesting times. I'm intrigued by what style of play, formation and players will evolve from a change of direction. It depends which of our players want to switch to full-time football, and if they're whether to risk it considering the position Torquay are in. Also geographically - are they willing to put in all the extra mileage for training and things like that? I personally think he will go for the loan market with Reading or Bristol City, where he's already had a lot of success. Not sure if this means he could somehow get hold of Southwood, which would be a blow. Given how determined Owers was to get Wollacott I wouldn't be surprised to see him head down to Torquay to get some games. Or even O'Leary given he still isn't getting on the bench at City. Though I obviously don't know what the keeper situation is down there. It will also be interesting to see if Axel gets offered a few months on the English Riviera. I've deliberately not posted up to now as I think it's right that fans have their say and there have been some very interesting comments made, both about the previous manager and the possibles as his replacement. Just to say that I'm as disappointed as everyone else but to underline that the board will do everything possible to make the right decision. Obviously the process has started and I believe there will be an official update from the club in the coming days. ...and I'll be in the bar as usual after tomorrow's match if anyone wants to ask questions or pass on concerns. Disappointed that GO has gone. Money does talk but it's his job and he needs to provide for his family. That's life. What we need is someone who has league contacts for loan players and possible signings. I have the upmost respect for Jimmer but don't think he's the man to take us forward. Yet. Sorry Jim. However I'm sure that Nick Blofeld will conduct this matter in the most professional way and appoint someone who can take this club forward and show the people of Bath we mean business. The following need not apply. If GO wants players from here that are on a contract then Torquay can get their cheque book out. Whether he'd want any is debatable. After all a 38 days ago (8th August if you want the date) none of them were even good enough for this league let alone the one above. turnstyle13 wrote: If GO wants players from here that are on a contract then Torquay can get their cheque book out. Hey, don't blame Jack Compton!! Good positive message from Nick Blofeld about the ambition and what theyre looking for. Feeling better bit by bit, lets just get through tomorrow. I wouldn't be surprised to see Jones go. We've put in the work getting him fit and now I can see him doing a job for a team shipping goals. As Yuffie says I wouldn't be surprised if either Southwood or Wollacott go. Of the others Marvin and Compton could well do a job. But we saw ourselves that the standard is so much higher in that league and we haven't really got any stand out players that could cut it. South wood on deal until January I believe and Wollacott on season loan. Think it would burn a few bridges if that happened, although Southwood would be available at the end of present deal. comrade powell wrote: I've deliberately not posted up to now as I think it's right that fans have their say and there have been some very interesting comments made, both about the previous manager and the possibles as his replacement. Just to say that I'm as disappointed as everyone else but to underline that the board will do everything possible to make the right decision. Obviously the process has started and I believe there will be an official update from the club in the coming days. Between the SLO's post above and Nick B's message, it's good to see the club communicating clearly and transparently on this matter. I also respectfully disagree that this represents some kind of big first test for the board - the big test is, and will always be, off the pitch. Between an ex-Bath City chair and an ex-Bath Rugby CEO, appointing a decent first team manager will be a walk in the park compared to reversing the club's long-term trading position by squeezing more value out of Twerton Park on a day in, day out basis. Solving that conundrum requires proper investment alongside a sustained volunteer commitment. While I agree that the overall profitability of the club is the main concern it has to be recognised that for a football club the appointment of the team manager is crucial to achieving that aim. If you don't get the manager right all the rest becomes that much harder. It needs to be a right fit for the club and the current players. That is not something easily identified during any selection process. From what I have seen in my job the odds of someone actually turning out to be what they appear in an interview is about 50 50. So good luck to the board in this. We should look on this situation as an opportunity to get an even better manager on board. I am optimistic, but would like to add deWolf to the list of 'need not apply'. I mean he did not do much for C.Palace.